Kimberley is a management consultant with global consultancy Accenture where she is a manager in the Healthcare Practice, advising on strategy and business change with a focus on digital healthcare innovation. At Accenture Kimberley works with a wide cross section of clients, from the NHS to medical software companies and private healthcare businesses. Kimberley graduated from the Royal Veterinary College in 2010. During her studies she intercalated at the University of Edinburgh to complete a BSc in Microbiology and Infection, and undertook the ten-week Cornell University Leadership Programme through a Wellcome Trust Scholarship. 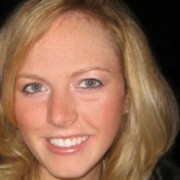 Kimberley has experience of working overseas in a variety of roles including working with UNICEF, WHO and DFID. We have always had to respond to change, both external and internal; it is not something that can be halted. So why address it now? The Vet Futures report highlighted, in no uncertain terms, that not only are we “cautious of change” as a profession, but the change that we are faced with has picked up momentum and is accelerating us toward a somewhat uncertain future. 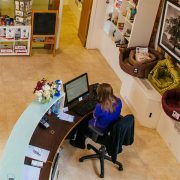 We are faced with an ever-changing business landscape of veterinary practice. The continued consolidation of the veterinary market combined with innovation, both clinical and digital, is changing the face of medicine. Vet Futures supports us to become part of this change, allowing vets and vet nurses to shape the journey and help position the professions for continued success. For me, this experience has been incredibly rewarding but not one that is entirely unfamiliar. As a vet working outside the profession in an ‘alternative career’ as a Management Consultant at Accenture, the majority of my day-to-day work is based around preparing my clients for the change that they face, either due to choice and innovation or because they simply have to ‘catch up’ with competitors or the outside world. What the Vet Futures report has captured is that we are somewhere between these two driving forces of change. While there are elements that are beyond our control (for example, new regulatory requirements, increasing demand for a higher level of customer service and continuing feminisation of the profession), we are also driving much of this change ourselves and contributing firsthand by innovating to drive the change we experience (for example adoption of new surgical techniques, new business models and use of new technologies). The diversity in experience of the Vet Futures Action Group has been instrumental in how we, as a group, were able to approach this challenge. How change is perceived is often impacted by the ‘lens’ through which we examine it. Tackling the key themes of the report from multiple views has allowed us to draw parallels between our profession and others. For example, as we make our first foray into telemedicine, it is prudent to learn lessons from NHS colleagues who have been using it for the last decade. Single organisations, like the NHS, are often able to cascade change using a top-down approach to the individuals within. Ultimately, we are not a single ‘business unit’ but a collection of unique businesses. To ensure we move forward as a cohesive collective profession it is important for us to personally own, as individual veterinary professionals, the day-to-day decisions that will successfully shape our future in 2030. Vet Futures sets out the foundations for that ownership. There is great opportunity to look forward to. Many of the changes we experience offer solutions to problems that we encounter. Personally, what excites me the most is the recognition by Vet Futures of the need to drive veterinary innovation. Having worked in the digital (human) healthcare space for much of the last decade, I eagerly anticipate the wave of ‘digital’ that is going to disrupt the currently nascent veterinary innovation space. I look forward to implementing an innovation symposium to help highlight veterinary innovation. By beginning to showcase how to apply both disruptive technologies and new clinical practices to our profession, I hope we encourage ourselves to not only embrace this kind of change but to become the driving force of innovation amongst our One Health colleagues, which we are uniquely positioned to do. Hi Kimberley, thanks for this insightful comment. I noticed in the VN Futures document (p. 23) that “increasing public expectations” was listed as one of the six causal factors of stress in the vet nursing and vet professions. I think this is particularly relevant to your comments on coping with change. As we know, animal owners (not the animals themselves) are the only means of generating revenue for a veterinary practice so are critical for sustainability and growth. However, given the results of the Mind Matters and Vet Futures research, it seems that dealing with these people is a substantial hindrance to the future of the profession and therefore a terrible conflict has emerged. I’m particularly interested in the way western society has changes its relationship with pets. When I was a little girl (quite some time ago), I’d have trouble getting to sleep at night because of dogs barking in neighbours’ back yards and cats fighting in the streets. Now I sleep peacefully…maybe because these animals have moved from the outdoors into people’s bed at night? While there has always been people who are extremely attached to their pets, it seems that this number of people have increased in society and I’m concerned that people in the veterinary professions are not coping with this. Another case in point is the “on demand” nature of society in which we live. In years gone by, if a cat had a sore ear, it would be taken to the vet at some point (if it was lucky). Now, clients are demanding immediate veterinary medical care. The evidence of this lies in the success of Vets Now. This is a fascinating company which has done extremely well in filling the gap of providing after-hours veterinary medical care…otherwise known as clients’ need for “on demand” veterinary care. Credit to the veterinary practices that have aligned with Vets Now to meet client expectations of “on demand” veterinary medical care. Moreover, credit to these practices which have responded to two other causal factors of stress as found by Mind Matters: long working hours and out-of-hours work. By changing their work habits, enlisting the help of an available service and recognising the demand of the world around them, these practices have been able solve three very real problems of the veterinary professions. I’m curious by this statement: “I eagerly anticipate the wave of ‘digital’ that is going to disrupt the currently nascent veterinary innovation space.” Why disrupt rather than augment?